• On this day, 27 years ago, DAVID BOWIE and IMAN were married having a private civil wedding ceremony at Lausanne registry office, Switzerland in 1992.. I was there. I interviewed him for Rolling Stone, and photographed him. And now I've combined the story and the photos into an ebook no DAVID BOWIE fan will want to be without! When David Bowie made his first visit to the USA, a year before Ziggy Stardust and before even Hunky Dory, he was greeted in San Francisco by Rolling Stone writer JOHN MENDELSSOHN, who, all those years later, is now making available for the first time the photographs he took of the dress-wearing young icon-to-be. The sixty-fifth episode of THE A TO Z OF DAVID BOWIE podcast created by MARC RILEY, ROB HUGHES and sound assisted by HOWARD NOCK is now available online for your listening pleasure. This episode continues with the letter V and discusses: The Velvet Underground. The sixty-fourth episode of THE A TO Z OF DAVID BOWIE podcast created by MARC RILEY, ROB HUGHES and sound assisted by HOWARD NOCK is now available online for your listening pleasure. This episode continues with the letter V and discusses: Cherry Vanilla, Mike Vernon and Velvet Goldmine. 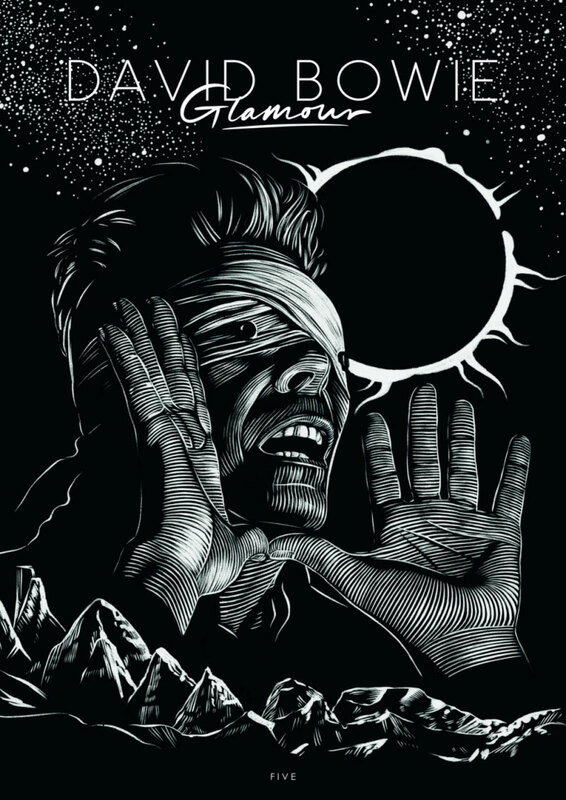 Check out the DAVID BOWIE GLAMOUR fanzine issue 5 cover created by HELEN GREEN. Inside, features interviews with all the Bowie Blackstar band, Jonathan Barnbrook and foreword by Tony Visconti. You can pre-order now at davidbowieglamour.wordpress.com website. Just so everyone is aware, only 1,000 copies are printed. The fanzine is now on general sale (for non-email subscribers). So far over 800 have been sold in a few days. Be really quick! Heads up! Issue 5 of DAVID BOWIE GLAMOUR fanzine is selling fast! If you want to guarantee your copy which includes FOUR exclusive prints join their email subscription on the link below. You'll receive an email today with a link and password to purchase the fanzine. You need to do this before Monday (15th) at 7.00pm UK time to guarantee the full package. The demand for this forthcoming issue is staggering and is selling faster than any previous issue. 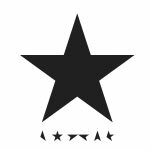 This forthcoming issue is based fully on the Blackstar album and the entire band who played on the album have been interviewed. 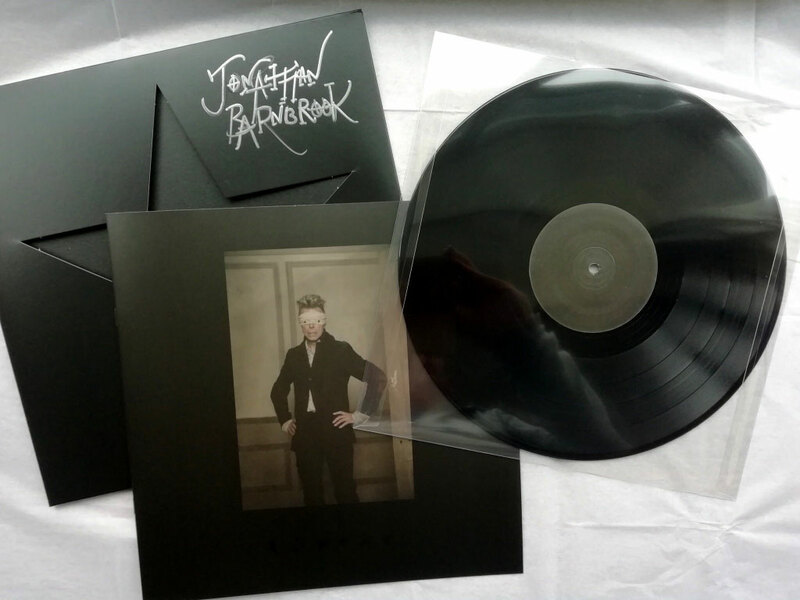 To win this first pressing (2015) Blackstar vinyl signed by the fabulous designer Jonathan Barnbrook, email 100 words to davidbowieglamour@yahoo.com telling them why you love the album/design. 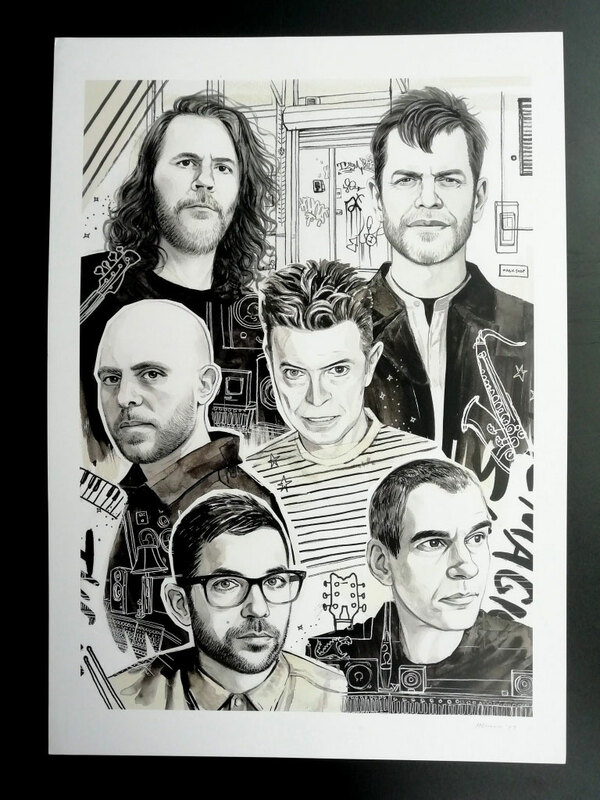 To win this unique A3 Blackstar band image (Tim Lefebvre, Donny McCaslin, Ben Monder, Mark Guiliana, Jason Lindner and David Bowie) signed by the artist Helen Green, email 100 words to davidbowieglamour@yahoo.com telling them why you love David Bowie Glamour fanzine. 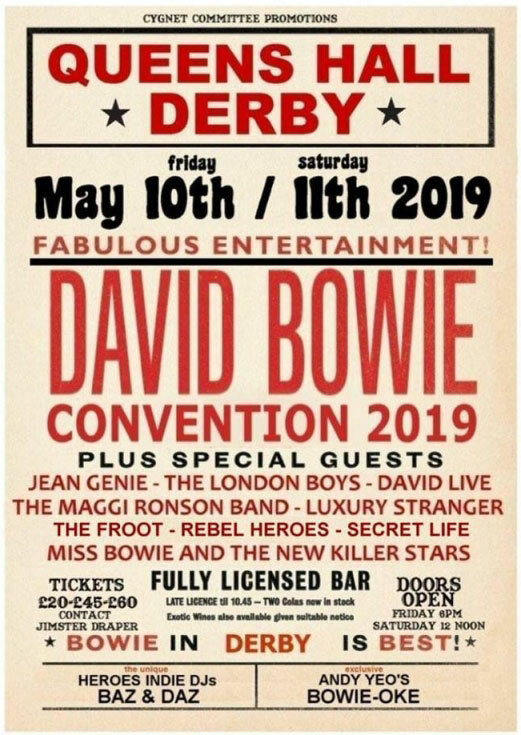 For more details and information visit davidbowieglamour.wordpress.com website. If you enjoy listening to THE A TO Z OF DAVID BOWIE podcast you can vote for them in the British Podcast Awards. The Listeners' Choice Award rewards the Best UK Podcast voted by the fans. Voting began at 18:00 on Monday 8th April 2019 and will close at 17:00 on Wednesday 15th May 2019. 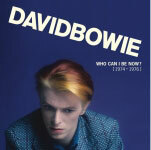 Check out the latest video created by NACHO where's he's done this thing on DAVID BOWIE - A New Career In A New Town. This video has been on the cards for a couple of years. The first minute or so started out as part of his 2017 documentary David Bowie is The Man Who Fell to Earth - [View here]. The sixty-third episode of THE A TO Z OF DAVID BOWIE podcast created by MARC RILEY, ROB HUGHES and sound assisted by HOWARD NOCK is now available online for your listening pleasure. This episode covers the letter V and discusses: Tony Visconti. THE HD PROJECTS presents the second in a series of four interview videos with world-famous music producer TONY VISCONTI discussing drummer DENNIS DAVIS and DAVID BOWIE. TRACING MY DAD (Volume 10) is dedicated to the memory of Dennis on the third anniversary of his passing. Each video focuses on a specific phase of Tony's work with Bowie and Dennis. This one focuses on David Bowie's 1977 album, Low. The album is considered groundbreaking. The D.A.M. Trio - Dennis Davis, Carlos Alomar and George Murray - jamming with Bowie and Tony Visconti, was the starting point for much of the material. Dennis Davis drumming, and the innovative use of early pitch-shift studio technology on his drums, would become one of the prominent features of the album. STAK BOX SET OUT NOW! 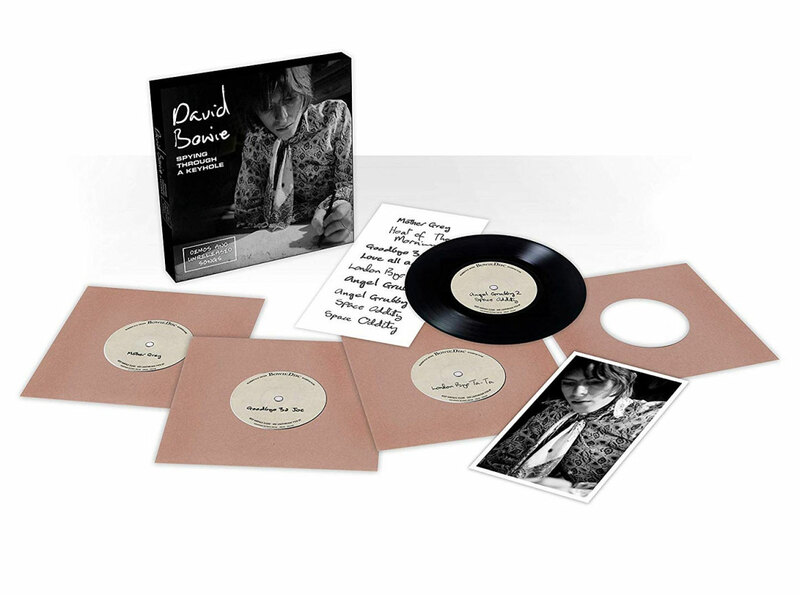 Released today (5th April) is the DAVID BOWIE Spying Through A Keyhole 7" Vinyl Box Set. You can purchase Spying Through A Keyhole NOW! Launched today are the VANS DAVID BOWIE collection of footwear featuring SIX different styles. Vans commemorates the life and legacy of David Bowie with a collection of unisex footwear and apparel for adults and toddlers. Drawing inspiration from some of Bowie's most influential works and many colourful personas, this collaboration celebrates a joint force between Vans and "the man who fell to earth" - two entities who for decades have championed the different and the strange, leaving a lasting impression on generations. The Vans and David Bowie collection lands in select Vans retail stores and online April 5th. David Bowie is a truly immortal artist whose body of work revolutionised sound and vision, leaving a legacy of innovation and reinvention that will live on forever. For this collection, Vans designers were inspired by iconic Bowie imagery throughout his career from 1969's Space Oddity all the way to his final album, 2016's ★. The footwear collection begins by dedicating Vans Classic Era to Bowie's first hit single 'Space Oddity' from 1969. Vans' first skate shoe showcases varying hues of blue and green and cylindrical shapes that matches back to the album art cover. The Era is finished with a black sole that is accented with the album name on the medial and tonal design details on the lateral sides. The Slip-On 47 V has been reimagined to include fuzzy checkerboard uppers reminiscent of the coat seen on Bowie on the Hunky Dory album artwork. The slip-on is accented by yellow suede uppers and is finished with the artist's moniker on the pull-tab. The Sk8-Hi Platform 2.0 pays tribute to Bowie's glam rock alter-ego Ziggy Stardust. The platform style is decked out in red patent leather and features an embossed Bowie lettering and black platform sole. Paying homage to Bowie's inclusive nature, Vans will be offering the Sk8-Hi Platform style in an extended size range for men and women. Vans' Old Skool is dedicated to David Bowie's Aladdin Sane album and includes pearlescent pebbled leather uppers accented by the iconic red and blue lightning bolt and finished with Vans' Sidestripe. The two renowned motifs merge on the Sk8-Hi model which has checkerboard printed sidewall and includes the Bowie lightning bolt logo lock-up overlaid across the ubiquitous print and Sidestripe. David Bowie's last album, ★ is highlighted across Vans Classic Slip-On model. Using a combination of canvas and suede uppers, the vamp includes a vinyl star while the tonal black outsole includes an embossed star. The Slip-On is completed with a galaxy of stars on the footbed as a tribute to Bowie's legacy. The Vans x David Bowie collection is available for a limited time in select Vans retail stores and online at vans.eu on April 5th. If you find that your local stockists are currently sold out here's the price range in case you start looking on eBay or Amazon to give you an idea of original prices without getting ripped off. Taking place on Thursday 11th April in London at HOUSE OF VANS is the launch of their DAVID BOWIE COLLECTION with an evening of music, art and fashion. Age Restriction: 18+ - ID required - Free - Booking Required. Here is your RSVP for the Vans David Bowie collection launch party in London - visit houseofvansuk-art.queueapp.com website for more details. 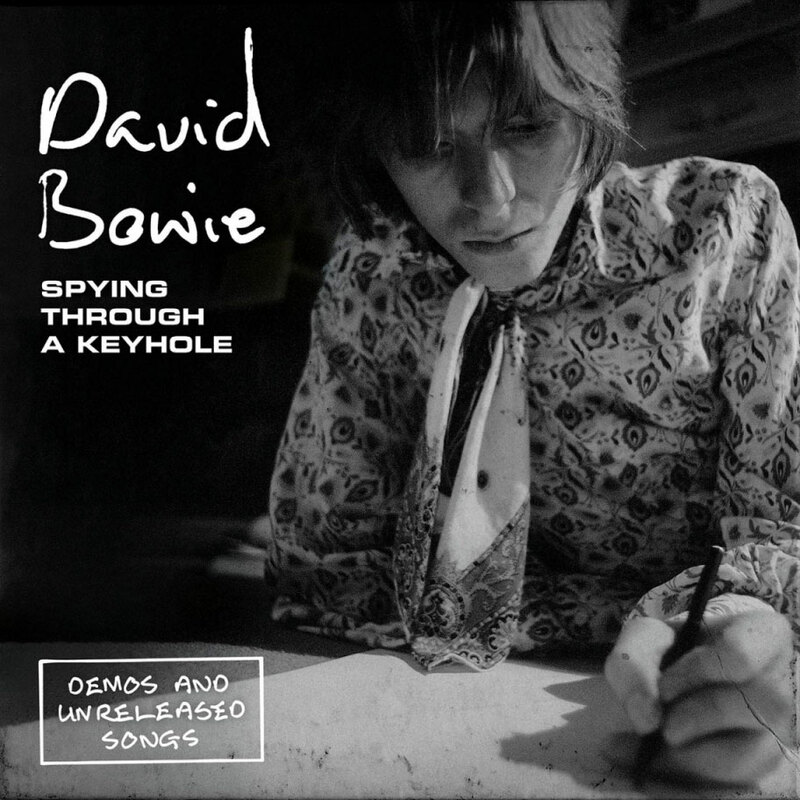 All set for release this coming Friday on 5th April is the DAVID BOWIE Spying Through A Keyhole 7" Vinyl Box Set. 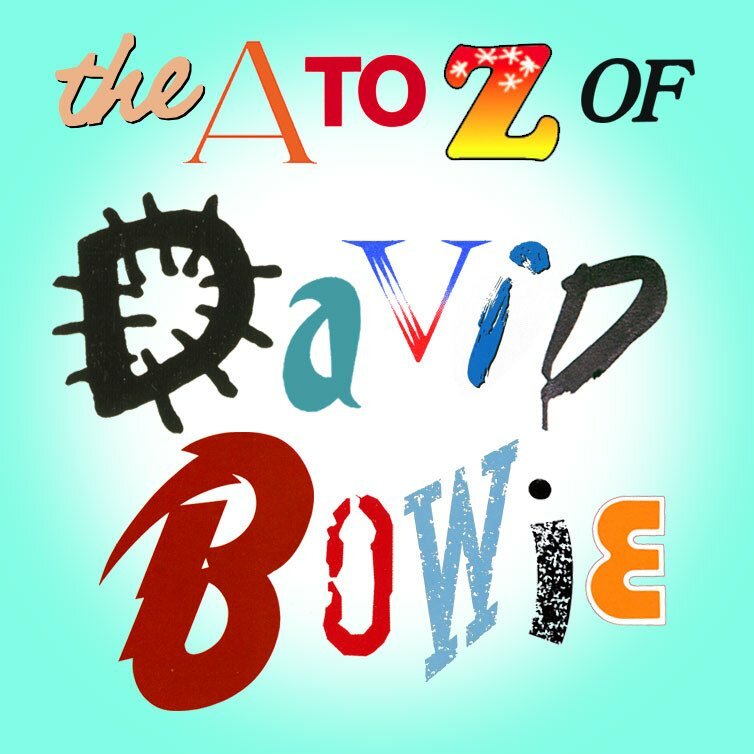 The sixty-second episode of THE A TO Z OF DAVID BOWIE podcast created by MARC RILEY, ROB HUGHES and sound assisted by HOWARD NOCK is now available online for your listening pleasure. This episode covers the letter U and discusses: U-Boat, Un Chien Andalou, UFOs (incl. Vince Taylor) and Uncle Arthur. I'm told these limited editions are to be released this month on 4th April. Released on 29th March is the audio 2-CD WHAT MEMORIES WE MAKE - THE COMPLETE MAINMAN RECORDINGS 1971-1974 by DANA GILLESPIE which compiles all of Dana's recordings/output for MainMan Recordings. 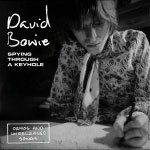 DAVID BOWIE - SPYING THROUGH A KEYHOLE 7" Vinyl Box Set containing FOUR singles and NINE songs - released on 5th April - available to purchase NOW!